As FreshBooks’ CEO Mike McDerment stated in a recent Forbes interview, the technology landscape is changing, and users are not that concerned on what a service allows them to do, but whether it makes it easy to do so. This was FreshBooks’ leading improvement agenda in the last couple of years, and it certainly paid off. This is not the first time for the global business community to applaud to FreshBooks’ achievements. The accounting service introduced several precedents on how financials are managed in a digital environment, and has recently launched a mobile accounting platform that eases the work of millions. The wow-moment of this story is how it didn’t take FreshBooks to reinvent the wheel – the service gained steam (and several millions) by solving simple usability issues. FreshBooks is one of the leaders and multiple award winners in our Accounting & Finance software category, and a product with outstanding user satisfaction rates coming from a base as large as 10 million accountants. Targeted mostly towards sole accountants and small teams, FreshBooks focuses on ease of use much more than it does to advanced accounting, so that it can, as they say, be adopted by those without a day of accounting experience. This idea took years to cease being an impossible mission, and it is FreshBooks that made it happen – it brought enterprise-grade accounting to the level of single-click operations that involve little to no training at all. This is what customers got to love about it, as we all can agree that accounting is not exactly the most entertaining and easy-going job in the world. Founded by freelance accountant Mike McDerment, FreshBooks was built with the idea to simplify and transform accounting, and represents a reliable and fast accounting suite that turns otherwise complex financial management into an easy process. Thanks to it, businesses get to manage invoices and recurring subscriptions in less than no time, and collect online payments within the same system. In fact, FreshBooks enables Google Checkout, PayPal, and credit card payments, and integrates with a long list of business systems and applications that can streamline this process. With it, odds are good that you will unite financial control in a single system, and stop paying for the maintenance of complex software infrastructure. Throughout the years, the company launched flagship products for similar niches and activities, so that companies would have a fully-featured suite to serve their customers. FreshBooks was, in short, reimaged in function and in form. The process pulled in an incredible investment of $7 million in updates, and is expected to bring up revenue of approximately $50 million. In the process of modernization, as McDerment fancies calling it, FreshBooks became as easy as users would like it in order to maximize its potential. At this point, he proceeds, accountants know what FreshBooks can do, and how they can trigger the action. In fact, it was McDerment himself that qualified the tool as ‘ridiculously easy to use’, and suitable for sole and amateur accountants who don’t want to learn accounting. The new FreshBooks version has simplified notably all invoicing procedures, making expense entries look like genuine receipts, rather than questionable forms. Paying customers will now receive automated reminders concerning their pending or overdue invoices, and the manager will have all of those neatly packed on a single page. Another notable improvement users ought to look forward to is paring down expenses to several different categories, still allowing the subscriber to list multiple individual contacts for each category. These categories will, nevertheless, preserve the robustness and focus on detail from before, thanks to the notably good interaction customers have with it. To wrap up particular improvements and innovations, FreshBooks’ team relied on thousands of beta testers, and 13 years of adept market knowledge. Companies that entrust financial operations to teams rather than individuals will greet FreshBooks’ revolutionized approach to collaboration. The new version allows full documentation visibility for a large number of users with the right permissions, and makes it possible to exchange files, attach and comment on all sorts of related documents, discuss in-app, and make decisions together. All of FreshBooks’ attractive accounting & finance features are now made available to mobile users, so that they can complete their operations and preserve communication with clients even when not in the office. The FreshBooks service is available to use on all operating systems and devices, providing full access to client information, and the very same action landscape we get on a desktop screen. As much as technology may change in future, McDermont believes there will still be those who prefer to stick to the old-good method of financing. This is why FreshBooks’ old version will still remain active, and the user can decide independently whether he wants to obtain the new features. Another interesting possibility is to switch back to the old version in case you dislike the new one, which is made possible for current and novice clients. Of course, you can decide this giving the system a test-drive, and using their detailed free trial. 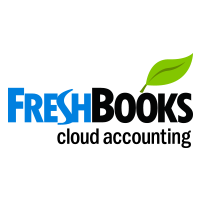 You can learn more about the benefits of FreshBooks free trial from our other article. As an existent FreshBooks user, you have nothing to worry about. You get to preserve the pricing conditions you signed in for, and no additional fees are imposed on you to cover for recent additions. For other users, however, FreshBooks brought up a whole new payment strategy that balances amounts based on the number of clients. With more than 50 clients, for instance, the price will range between $40 and $50 per month, whereas companies with less than 50 clients will pay only $25 per month. If you’re a freelancer with limited recurred billings, the changes won’t affect you at all. As it is usually in a fast-pace technology environment, a company doesn’t expect rocket user satisfaction or an overall enthusiasm for getting acquainted with new features. FreshBooks’ team took this into consideration, and made it possible for users to stick to a preferred version while working on improvements for those who want to keep in line with time. The ‘DNA’ of the system was transformed dramatically, but yet in a way that preserves the core functionalities that made FreshBooks what it is today. What the team expects and promises at this point of time is weekly endorsement of their service and capacity, so that users will always feel supported and cared for. According to them, the new features will take into account what users need and expect, and help them deliver nothing but superb and professional service.